The next MacBook (Air) killer – it’s a cliché that’s way past its prime but when a company sets about designing a notebook for that specific purpose, how else can you describe it? 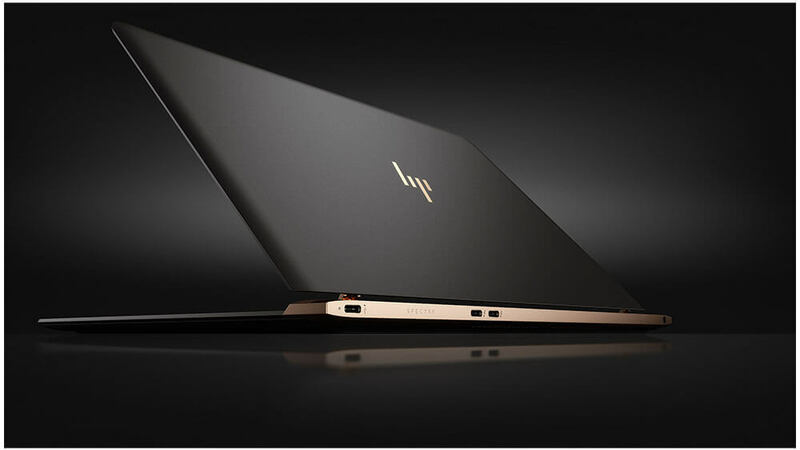 Unveiled at the New York Times International Luxury Conference in Paris, the new HP Spectre 13.3 is a powerhouse of a machine in a footprint that earns it the title of world’s thinnest notebook. The Spectre 13.3 measures just 10.4 millimeters thick – roughly three millimeters thinner than Apple’s MacBook or for comparison, about as thick as a AAA battery. It tips the scales at 2.45 pounds which is light but not the lightest around. On the inside, you’ll find a sixth-generation Intel Core i5 or i7 processor (your choice) rather than the much slower Core M chip populating other thin machines in this segment. The CPU is joined by up to 8GB of RAM and a PCIe solid state drive offered in capacities up to 512GB. Surprisingly enough, the system comes equipped with three USB Type-C connectors, two of which support Thunderbolt. Perhaps the biggest disappointment some will find with the Spectre 13.3 is the 1080p display. That’s fine for most applications and users but those wanting the best available technology will certainly miss a higher resolution display (your battery will thank you). What’s more, this one is of the non-touch variety if that matters to you at all but it does come with a protective coat of Gorilla Glass 4. As for battery life, HP claims the Spectre 13.3 is good for 9.5 hours of movie playback or Office tasks thanks to its 38-watt-hour pack. The Spectre 13.3 will be made available for pre-order on April 25 starting at $1,169 and will ship next month.